After questions that came up at last night’s Writer’s Meeting, I debated whether to update my first blog on Publishing Options or whether to put it in a new post. With the length of the first post, and the additional important KDP publishing information I needed to share, I decided it was better to write a new one. Two points came up that need to be addressed, one that I had forgotten to include the first time, and one that was brand new information to me. 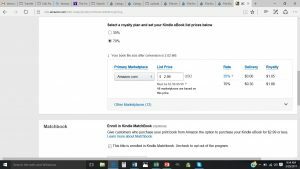 In my first post I spoke of my recommendation to publish paperbacks through CreateSpace. That is not the only option out there, of course, but from my own experience and my research, I strongly believe it to currently be the best – the cheapest, the easiest, and yet, still high quality way to get books published in a “Print on Demand” manner. On CreateSpace you have the option of ordering physical proof copies of your books before having them go live for the whole world to see. And while I appreciate the ability to now proof my books digitally with CreateSpace, I ONLY use that option when I am making small tweaks to an existing book. My personal rule of thumb is to ALWAYS order a copy of my book before I actually publish it to the Amazon website. That is particularly important for books with pictures inside, but I find it useful for all of my books. I also appreciate being able to purchase my own books at a low price, so that I can have a copy for myself, gift it to family and friends, give it to potential reviewers, or even sell it myself directly (something I did when I had a physical store to carry them in, but don’t plan to do now because of sales tax headaches). But apparently there is no purchasing option through the KDP print system at the moment. From what I can tell without participating in it, the system itself is probably very similar to CreateSpace’s (which would make sense, since Amazon is behind both of them). But as long as the option to purchase low priced copies of our own books isn’t there, I would just stay with CreateSpace! If you want more information on the KDP print option, you can see look at Print Publishing Guidelines. This second topic is actually one that I have to admit being ignorant of in spite of having published through Amazon for more than six and a half years now. 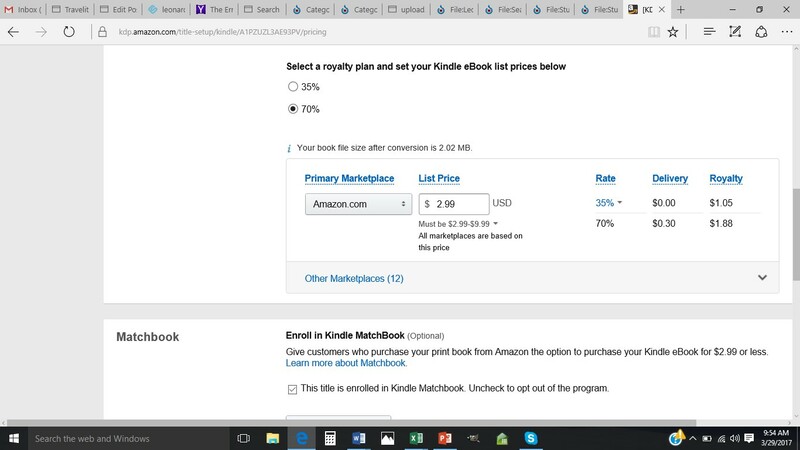 Apparently, somewhere in the small print (and we had to DIG to find it last night) KDP explains that there is a delivery fee for our Kindle books (on top of the percentage they keep after giving us our royalties). And that delivery fee is based on the size of the book file. So for the vast majority of my Kindle books, which are text dense and tend to have only a few pictures, this has not been a big problem. But for a photo based book, or an illustrated children’s book like they are trying to publish, this can quickly become a very big problem. In my six plus years of publishing with Amazon I have been very happy with their customer service and their business model. But this “hidden” fee certainly threatens to rain on my Amazon parade. Again, to be clear, for those of us publishing books that are text-based not picture-based, this is a fairly small issue. But for people who are wanting to publish picture-based, or even heavily illustrated, books, this is something to pay attention to! Now that I’m looking for it, I see the delivery charge in my account when I’m publishing a Kindle book. This is a screenshot from one of my books that does have quite a few pictures. It has a $0.30 delivery fee. Now, one thing to note – in this case, I’m still going to make more money going with the 70% royalty option (in this case $1.88 – $0.30 versus $1.05). But if my book was much bigger and the delivery fee rose above the differential of $0.83, it would make more sense for me to chose the 35% royalty, because at least right now, they are not charging a delivery fee on those books. So, now that I know the delivery fee is there, and see where it is showing up on the KDP website, I can still recommend to authors that they put their picture-heavy books up as a Kindle book – BUT they need to pay close attention to the delivery fee, and make an informed decision of whether they need to choose the 35% royalty option or the 70% option. 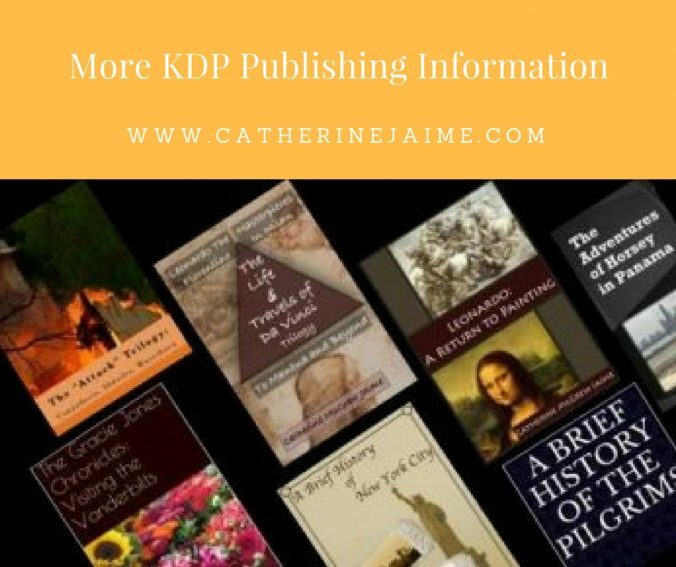 Are you using KDP’s service? Are you happy with it? Did I leave out anything important on the KDP front? Cathy, author of 65 Kindle books, but still able to learn!